Working temperature: -20ºC to +100ºC. both material are RoHS compliance. 3.Solid gray or clear polycarbonate lid are available. 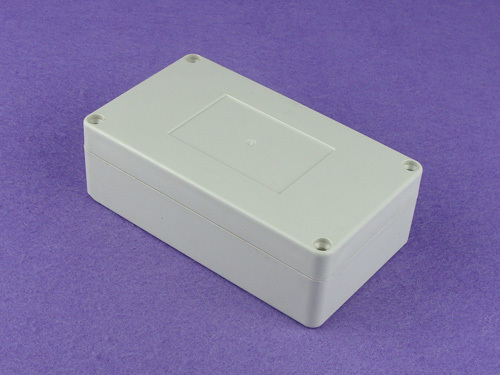 4.All boxes offer internal mounting bosses for mounting plates, PCB supports, Din-Rails mounting tabs etc. 5.High impact resistance and protection class,Ideal for outdoor or indoor industrial electronics and electrical applications. 7.We can turn out Standard enclosure into a Customized Standard enclosure by CNC machining without minimum order . 1. printing logo or text on the product , printing include cheap silk screen and pad printing and costly heat transfer printing. 2. drilling holes, milling, and machining cut-outs for cable gland assembly,USB and network port,terminal connector,power swich etc. you are requested to provide us drawing or physical sample. 3. painting .pantone code no. is needed for painting.